The U.S Citizenship and Immigration Service (USCIS) launched the EB-5 program back in 1990 to promote economic growth here in the United States through new job creation. Today, the “Immigrant Investor Visa” (EB-5) has evolved into a program designed specifically to help foreign nationals and their families obtain U.S. permanent residency through qualified, job-creating investment. Today, investors can choose from two different types of EB-5 investments: direct investments and regional center investments. These two investment options are relatively similar, but they do have a few key differences, which are primarily related to how job creation must be calculated. A small percentage of EB-5 investors prefer the direct investment method. EB-5 investors who choose a direct investment are required by law to invest in a commercial enterprise, whether alone or together with fellow-investors, that directly creates at least 10 new, direct, W-2 employee jobs per EB-5 investor—and that these jobs last for at least two years. The commercial enterprise can be structured in a number of different ways including sole proprietorship, joint venture, partnership, limited liability company, etc. The minimum qualifying investment amount is $500,000 if the commercial enterprise is located in a targeted employment area (TEA); if not in a TEA, the minimum investment is $1,000,000. The vast majority of EB-5 investors prefer the regional center investment method. EB-5 investors who choose to invest in an EB-5 project sponsored by a USCIS-approved EB-5 regional center are able to count all direct, indirect, and induced jobs created as a result of the EB-5 project. Like the direct investment method above, a regional center investment still requires a minimum of 10 jobs created per EB-5 investor, and all jobs must last for at least two years. The main reason most EB-5 investors choose to invest in EB-5 projects sponsored by regional centers is the preferred job calculation method. This method usually results in more jobs being available per investor, which results in significantly lower immigration risk for the EB-5 investors. As with a direct investment, the minimum qualifying investment amount is $500,000 if the commercial enterprise is located in a TEA or $1,000,000 if the project isn’t in a TEA. And like the direct investment method, the commercial enterprise in a regional center investment can be structured in a number of ways. Choosing between direct investment and investment via a regional center represents a relatively straightforward decision for most EB-5 investors. The direct investment method is often preferred by foreign investors seeking to open and operate their own commercial enterprise in the United States. These investors are seeking to have full control over their investment and are looking to build a successful business. A common goal among direct investors is to expand their existing business operations into the U.S. and increase their profits. Typically, this means that the investor is looking to make an investment in a more urban, business-friendly area that may or may not qualify as a TEA due to the local unemployment rate. Most foreign investors are not seeking to open new commercial enterprises in rural areas, even though rural areas automatically qualify as TEAs. If the investor chooses to locate his/her business in an area that does not qualify as a TEA, then the investment must be $1,000,000 instead of $500,000. Generally, direct EB-5 investments are more suitable for investors that desire to have greater control over their investments and operate independently. The regional center investment method is the most popular EB-5 investment method by far because it allows each investor to become part of a new commercial enterprise as a passive investor with minimal to no daily management responsibilities. In a regional center investment, multiple EB-5 investors are typically pooled together to make an investment in a new commercial enterprise. Since EB-5 capital in a regional center project tends to be a small portion of the total project capital, this pooled approach typically results in a large “job cushion,” providing more than the required 10 jobs per investor. Such a cushion reduces the stress placed on an EB-5 investor. For those who choose direct investment, the EB-5 investor is personally responsible to meet the 10 jobs per investor requirement. One additional distinction between a direct investment and a regional center investment is the procedure for how an EB-5 investor submits his/her immigration application. EB-5 investors seeking to make a direct investment can submit their applications by themselves with the help of a qualified immigration attorney. Direct EB-5 investors are, therefore, typically responsible for assembling all supporting documentation for their specific new commercial enterprise investment. EB-5 investors seeking to make a regional center investment must work with the regional center to obtain and correctly prepare the necessary project documentation for the selected investment. Regional center EB-5 investors do not need to prepare any project-specific documentation since all of the required project documentation has already been completed and assembled by the regional center. 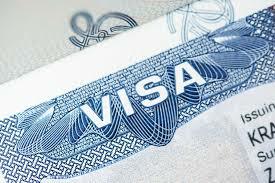 Applying for an EB-5 Visa is an important step for a foreign national and his/her family—one that requires careful consideration of the family’s unique situation. Therefore, we strongly recommend speaking with a qualified EB-5 consulting firm or USCIS-approved regional center when deciding the best route for obtaining U.S. permanent residency status.